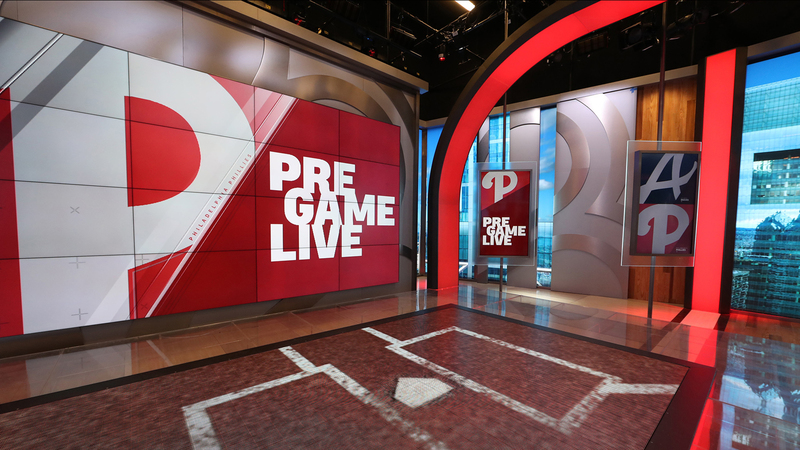 NBC Sports Philadelphia, a regional sports network of NBC Sports Group, has debuted a 3,600 square foot studio in time for MLB’s Opening Day. 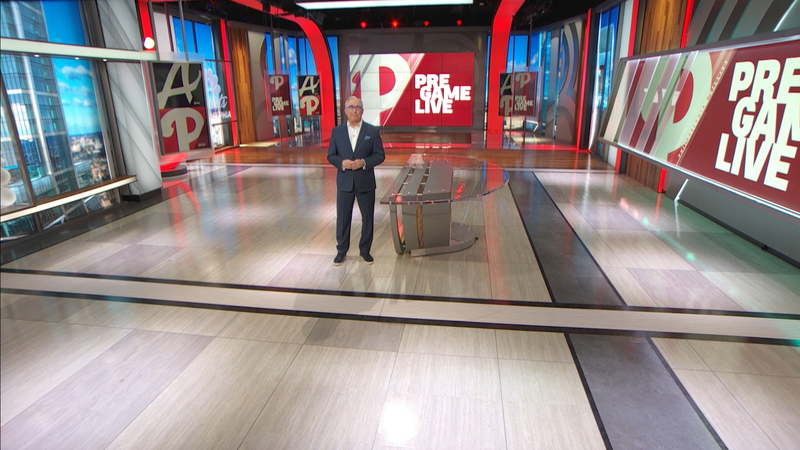 The set, which is located inside the Wells Fargo Center in Philadelphia, includes a variety of standup positions and desk locations allowing movement and flexibility for the network’s variety of programming. Jack Morton Worldwide created the design for NBC Sports Group, which will be translated into the studios of other RSNs down the road. Fabrication for the project was provided by blackwalnut with lighting by The Lighting Design Group. The design includes a 23 foot LED wall behind the main anchor area running the length of the space with LED panels provided by Leyard and installed by NBC Sports with support from GGI. One of the unique areas of the scenic design is the demonstration space which includes a 15×8 LED floor for immersive and interactive analysis. 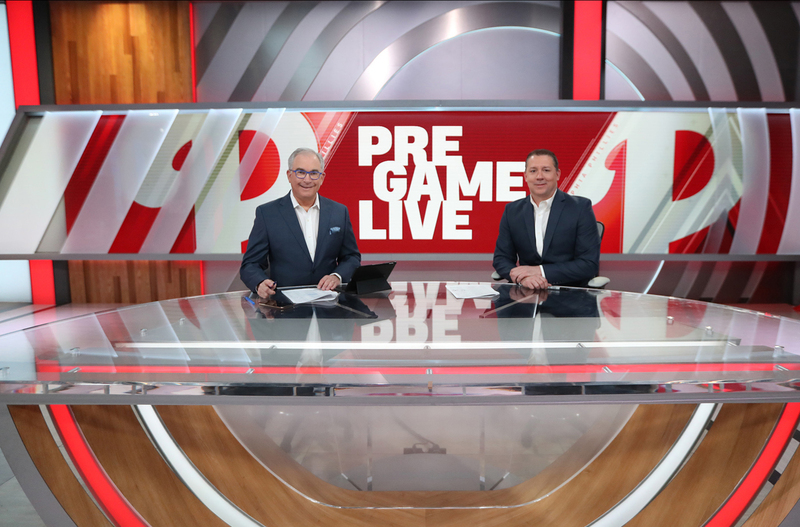 NBC Sports Philadelphia is the rights holder for the Philadelphia 76ers, Philadelphia Flyers and the Philadelphia Phillies, and has seen other network-wide facility investment along with the studio. A secondary production space will debut later this year for the network.